Delivers 38 Highway MPG and 30 City MPG! This Honda Accord Sedan boasts a Intercooled Turbo Regular Unleaded I-4 1.5 L/91 engine powering this Variable transmission. .* Stop By Today *A short visit to Capital Honda located at 2651 Jolly Rd, Okemos, MI 48864 can get you a reliable Accord Sedan today! Delivers 38 Highway MPG and 30 City MPG! This Honda Accord Sedan boasts a Intercooled Turbo Regular Unleaded I-4 1.5 L/91 engine powering this Variable transmission. .* Visit Us Today *A short visit to Capital Honda located at 2651 Jolly Rd, Okemos, MI 48864 can get you a tried-and-true Accord Sedan today! Boasts 38 Highway MPG and 30 City MPG! This Honda Accord Sedan delivers a Intercooled Turbo Regular Unleaded I-4 1.5 L/91 engine powering this Variable transmission. .* Visit Us Today *Come in for a quick visit at Capital Honda, 2651 Jolly Rd, Okemos, MI 48864 to claim your Honda Accord Sedan! Delivers 38 Highway MPG and 30 City MPG! This Honda Accord Sedan boasts a Intercooled Turbo Regular Unleaded I-4 1.5 L/91 engine powering this Variable transmission. .* Visit Us Today *For a must-own Honda Accord Sedan come see us at Capital Honda, 2651 Jolly Rd, Okemos, MI 48864. Just minutes away! Boasts 38 Highway MPG and 30 City MPG! This Honda Accord Sedan boasts a Intercooled Turbo Regular Unleaded I-4 1.5 L/91 engine powering this Variable transmission. .* Visit Us Today *Live a little- stop by Capital Honda located at 2651 Jolly Rd, Okemos, MI 48864 to make this car yours today! Scores 38 Highway MPG and 30 City MPG! This Honda Accord Sedan boasts a Intercooled Turbo Regular Unleaded I-4 1.5 L/91 engine powering this Variable transmission. .* Stop By Today *Test drive this must-see, must-drive, must-own beauty today at Capital Honda, 2651 Jolly Rd, Okemos, MI 48864. Boasts 35 Highway MPG and 29 City MPG! This Honda Accord Sedan delivers a Intercooled Turbo Regular Unleaded I-4 1.5 L/91 engine powering this Variable transmission. .* Visit Us Today *Stop by Capital Honda located at 2651 Jolly Rd, Okemos, MI 48864 for a quick visit and a great vehicle! Scores 35 Highway MPG and 29 City MPG! This Honda Accord Sedan delivers a Intercooled Turbo Regular Unleaded I-4 1.5 L/91 engine powering this Variable transmission. .* Stop By Today *For a must-own Honda Accord Sedan come see us at Capital Honda, 2651 Jolly Rd, Okemos, MI 48864. Just minutes away! Scores 35 Highway MPG and 29 City MPG! This Honda Accord Sedan boasts a Intercooled Turbo Regular Unleaded I-4 1.5 L/91 engine powering this Variable transmission. .* Stop By Today *A short visit to Capital Honda located at 2651 Jolly Rd, Okemos, MI 48864 can get you a reliable Accord Sedan today! Scores 35 Highway MPG and 29 City MPG! This Honda Accord Sedan delivers a Intercooled Turbo Regular Unleaded I-4 1.5 L/91 engine powering this Variable transmission. .* Stop By Today *Come in for a quick visit at Capital Honda, 2651 Jolly Rd, Okemos, MI 48864 to claim your Honda Accord Sedan! Scores 35 Highway MPG and 29 City MPG! This Honda Accord Sedan boasts a Intercooled Turbo Regular Unleaded I-4 1.5 L/91 engine powering this Variable transmission. .* Stop By Today *Test drive this must-see, must-drive, must-own beauty today at Capital Honda, 2651 Jolly Rd, Okemos, MI 48864. Boasts 35 Highway MPG and 29 City MPG! This Honda Accord Sedan delivers a Intercooled Turbo Regular Unleaded I-4 1.5 L/91 engine powering this Variable transmission. .* Stop By Today *Come in for a quick visit at Capital Honda, 2651 Jolly Rd, Okemos, MI 48864 to claim your Honda Accord Sedan! Scores 38 Highway MPG and 30 City MPG! This Honda Accord Sedan delivers a Intercooled Turbo Regular Unleaded I-4 1.5 L/91 engine powering this Variable transmission. .* Stop By Today *Live a little- stop by Capital Honda located at 2651 Jolly Rd, Okemos, MI 48864 to make this car yours today! Scores 38 Highway MPG and 30 City MPG! This Honda Accord Sedan delivers a Intercooled Turbo Regular Unleaded I-4 1.5 L/91 engine powering this Variable transmission. .* Visit Us Today *Come in for a quick visit at Capital Honda, 2651 Jolly Rd, Okemos, MI 48864 to claim your Honda Accord Sedan! Boasts 38 Highway MPG and 30 City MPG! This Honda Accord Sedan boasts a Intercooled Turbo Regular Unleaded I-4 1.5 L/91 engine powering this Variable transmission. .* Visit Us Today *For a must-own Honda Accord Sedan come see us at Capital Honda, 2651 Jolly Rd, Okemos, MI 48864. Just minutes away! Boasts 38 Highway MPG and 30 City MPG! This Honda Accord Sedan delivers a Intercooled Turbo Regular Unleaded I-4 1.5 L/91 engine powering this Variable transmission. .* Stop By Today *A short visit to Capital Honda located at 2651 Jolly Rd, Okemos, MI 48864 can get you a reliable Accord Sedan today! Delivers 32 Highway MPG and 22 City MPG! 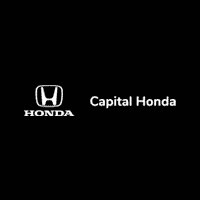 This Honda Accord Sedan delivers a Intercooled Turbo Regular Unleaded I-4 2.0 L/122 engine powering this Automatic transmission. .* Stop By Today *Stop by Capital Honda located at 2651 Jolly Rd, Okemos, MI 48864 for a quick visit and a great vehicle! Boasts 32 Highway MPG and 22 City MPG! This Honda Accord Sedan boasts a Intercooled Turbo Regular Unleaded I-4 2.0 L/122 engine powering this Automatic transmission. .* Visit Us Today *For a must-own Honda Accord Sedan come see us at Capital Honda, 2651 Jolly Rd, Okemos, MI 48864. Just minutes away!